Lucrezia Marinella (1571–1653) is, by all accounts, a phenomenon in early modernity: a woman who wrote and published in many genres, whose fame shone brightly within and outside her native Venice, and whose voice is simultaneously original and reflective of her time and culture. 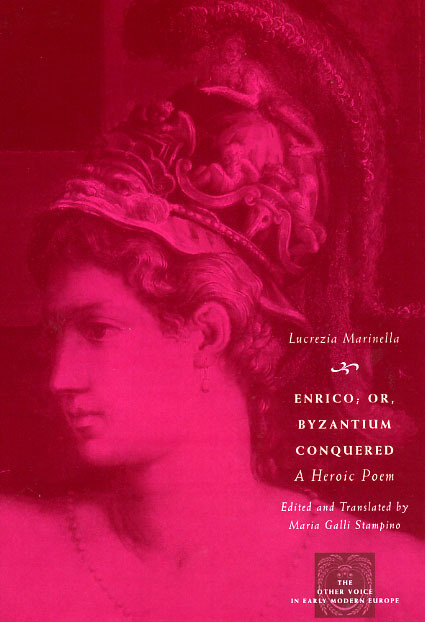 In Enrico; or, Byzantium Conquered, one of the most ambitious and rewarding of her numerous narrative works, Marinella demonstrates her skill as an epic poet. Now available for the first time in English translation, Enrico retells the story of the conquest of Byzantium in the Fourth Crusade (1202–04). Marinella intersperses historical events in her account of the invasion with numerous invented episodes, drawing on the rich imaginative legacy of the chivalric romance. Fast-moving, colorful, and narrated with the zest that characterizes Marinella’s other works, this poem is a great example of a woman engaging critically with a quintessentially masculine form and subject matter, writing in a genre in which the work of women poets was typically shunned.